HOPE – A community hearing of the proposed conversion charter school application of the Hope Academy of Public Service is set for Thursday at 6 p.m. in the Hope High School auditorium. The hearing is for all parents of HAPS students, Academy students, teachers and the general public, according to regulations of the Arkansas Department of Education. The conversion charter application must be submitted to the ADE Charter Authorizing Panel by Aug. 4, according to Hope Schools Superintendent Bobby Hart. The application is the first for a public school campus in Hope, Hart said. The conversion will allow a more flexible school day, as well as other flexibilities not found in regular curriculum schools in Arkansas. That will not, however, change the standards to which the school will be held, and the charter will represent a performance-based “contract” between the HPSD and the ADE or its commissioner. 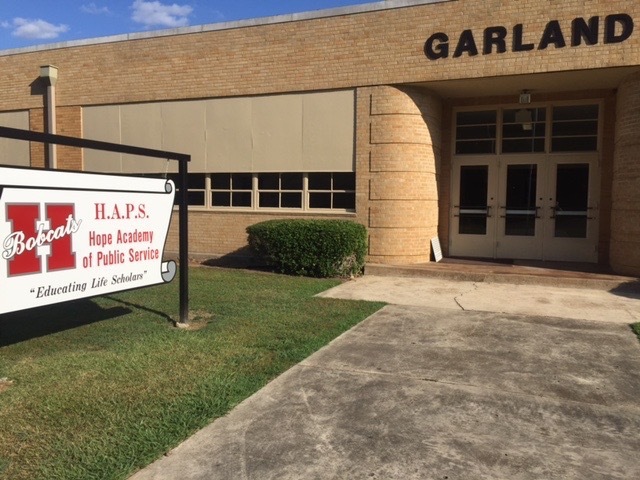 ADE has already granted the HAPS campus a Local Education Agency number, recognizing it as a campus of the Hope Public School District, according to Hart. Charter status is applicable for five years, according to the ADE’s website. The school will open Aug. 15 in the historic Garland/HAPS building at 600 West Sixth Street with an expected enrollment between 150 and 200. Dr. Carol Ann Duke is the principal at the new campus.